GOVERNMENT TEACHER: Gujarat Gaun Seva Pasandgi Mandal (GSSSB) has published Exam / Call Letter Notification for the post of Sub-Accountant / Sub Auditor. 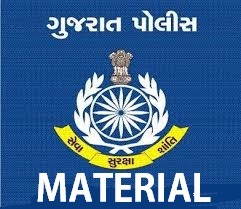 Gujarat Gaun Seva Pasandgi Mandal (GSSSB) has published Exam / Call Letter Notification for the post of Sub-Accountant / Sub Auditor. Gujarat Gaun Seva Pasandgi Mandal (GSSSB) has published Exam / Call Letter Notification for the post of Sub-Accountant / Sub Auditor (Advt.No. 84/201617), Check below for more details.